Looking for the perfect gift for that someone special? 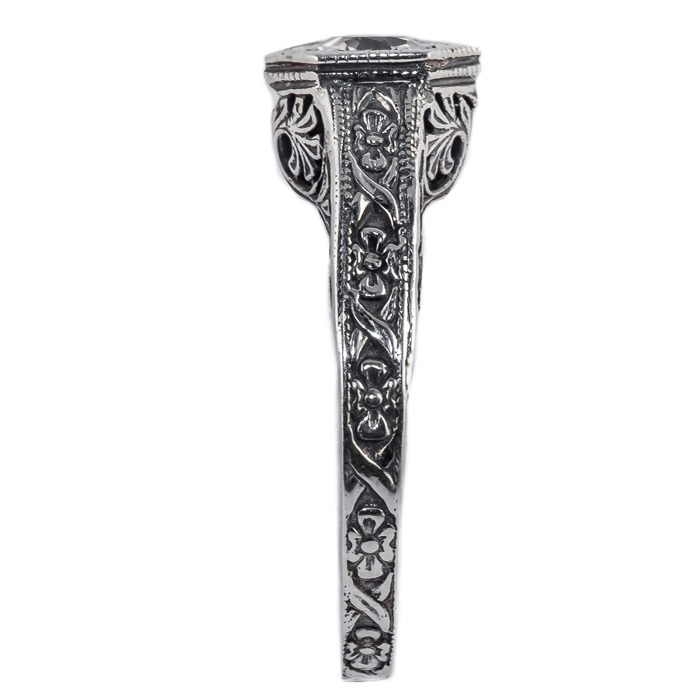 Maybe jewelry for your wedding party or as a unique way to ask your close friends to stand up next to you as you say your vows? Apples of Gold has created a huge selection of fashion jewelry that are the perfect accent for your every day. 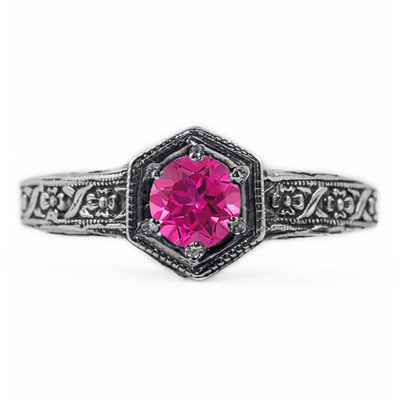 This vintage style ring with a blush pink topaz gemstone in a stunning floral ribbon design will sparkle on your hand. The 14K white gold offers a soft setting for such an amazing pink topaz gemstone. 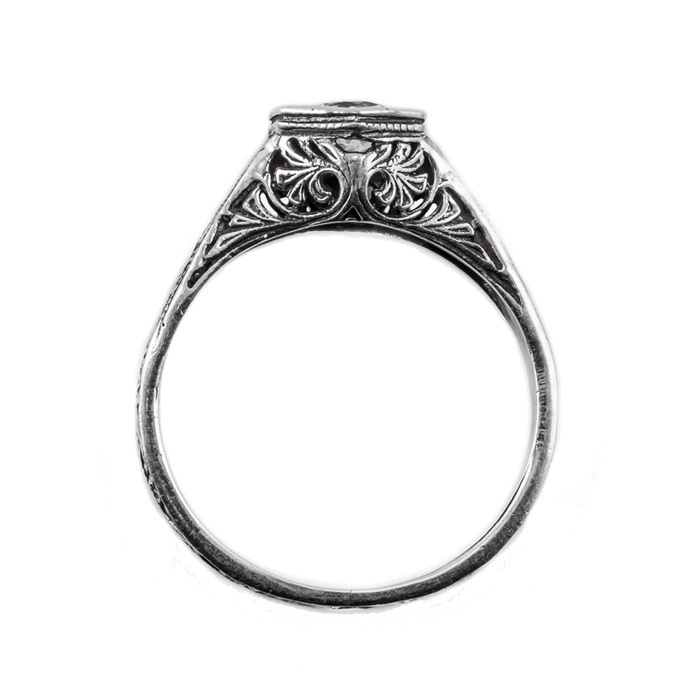 This ring measures 4.5mm. Please reference our ring sizing chart and buy one today for every special woman in your bridal party. We guarantee our Floral Ribbon Design Vintage Style Pink Topaz Ring in 14K White Gold to be high quality, authentic jewelry, as described above.